How a Down syndrome diagnosis is received varies from person to person. Some people find out prenatally, some people find out at birth and some people don't find out until their baby is much older. The feeling upon hearing the news, however, is often very much the same. I met Meagan through the Down Syndrome Diagnosis Network. Most of you know that we didn't officially find out that Liam had Down syndrome until he was almost 3 weeks old. It was suspected at birth, but the doctors were divided. It was a LONG wait for the results. Meagan's diagnosis story is a bit different. Meagan found out that her beautiful son, Asher, had Down syndrome prenatally. Read on to hear Meagan's diagnosis story! 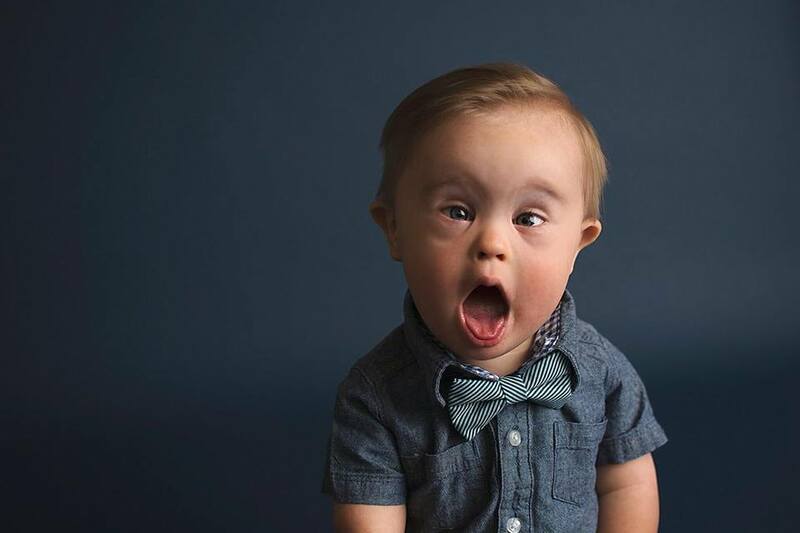 I will never forget the day I got the news that our son Asher would be born with Down Syndrome. 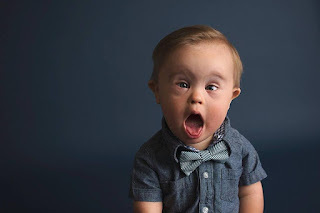 My OBGYN called and told me my test results came back abnormal for Down Syndrome and that we would need to meet with a genetic counselor as soon as possible. I remember feeling every emotion possible in the weeks leading up to the meeting. One minute I was heartbroken and depressed and the next I was angered and frustrated. I never really knew what to feel, because I had no idea what it all meant. At the meeting, the genetic counselor asked questions about our family history and gave us information about my results. She told us about the risk Asher and I could face while I was pregnant. She told us about the health issues he could be born with or have to deal with as he grows up. She even asked if I still wanted to proceed with the pregnancy?! What she didn’t tell us was how much joy and happiness Asher would bring us. Or how much closer our family would be because of him. 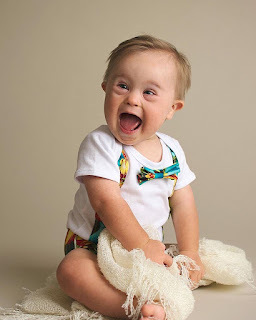 Down Syndrome, also known as Trisomy 21, is an extra copy of the 21st chromosome. This extra genetic material manifests itself in a number of ways, most notably intellectual and developmental delays, and recognizable physical characteristics. What does that mean for our Asher? It means he has Down Syndrome, but he doesn’t have every single characteristic of Down Syndrome. He has his own physical features, likes and dislikes, strengths and weaknesses, and traits that make him unique. It also means he might need a little extra time and attention to hit his milestones as he grows, but nothing will stop him! Asher is an individual, just like everyone else. 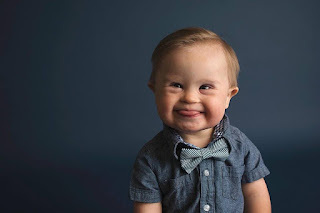 Down Syndrome is only a piece of who he is. We will not write his future for him and neither will society. Although Down Syndrome is apart of Asher, it does not define him. He is so much more and we want to share his journey with the world! I wanted to share some pictures for those of you who haven’t met my son from birth up until recently. I cannot believe he is almost the big O-N-E! Everyone, please meet Asher! This post originally appeared on My Atlanta Moms Club, where Meagan is a contributor. You can find Meagan posting about life with Asher on his Facebook fan page, on Twitter and on Instagram. Thank you so much for sharing your story, Meagan! 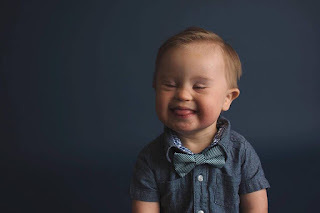 If you would like to contribute to the Downright Blessed: Life with Down Syndrome series, please send an email to lexieloolilyboodylantoo@yahoo.com.